This kerala diet plan for weight loss will change the way you look at diets. Weight Loss Diet need not necessarily be a boring affair. You could plan out an interesting weight loss plan for yourself which suits your palate. The key necessity here is awareness of what you eat. Hence i planned this 1200 calories Kerala diet plan for weight loss specially for my readers who love kerala cuisine. When one is leading a very busy life, awareness of what you eat is pushed to the back burner. Realization dawns pretty late when you have already piled on the kilos. Therefore, a written plan or a personalized diet chart is a good idea to follow. Apart from a diet chart, a food diary (this could be a small scribbling pad which travels with you in your handbag wherever you go to jot down whatever you have consumed every single day) will go a long way in keeping track of where your diet plan is headed. Keep reading to know more about this 1200 calories kerala diet plan for weight loss. This is a 1200 calorie kerala diet plan for weight loss. it provides around 1200 calories and around 50 gms protein. this is enough to take care of the day to day requirement of an average Indian individual, hence you lose weight in a healthy way. This kerala diet plan for weight loss is a generalized plan to give you an ideal of what your diet should be like. Cut cabbage into thin long strips of about 1 inch. wash and drain, keep aside. Cut onion also into thin long strips. Heat 1 teaspoon oil in a pan. Splutter ½ teaspoon of mustard seeds and ½ teaspoon of chana dal. Add ½ teaspoon of turmeric powder, fry and add #1, 2, and 3. just stir fry, add salt to taste, cover and cook for about 2 minutes. add 1 tablespoon of grated coconut (this is for those who absolutely love their sprinkled grated coconut in their upperi (side dish) and switch off gas immediately. Wash tender kovakkai (ivy gourd) in running water, drain, and cut into long thin strips. Cut onion into long thin strips. Dry fry 1 teaspoon of rice and 1 dry red chilly and powder it. Heat 1 teaspoon oil in a kadai. Splutter ½ teaspoon of mustard seeds and ¼ teaspoon jeera seeds. Add ½ teaspoon of turmeric powder, fry and add #1 and 2. Just stir fry, add salt to taste, add about 3 tablespoons of water, cover and cook for about 3 minutes. Add the powdered spices and remove from flame. Coarsely grind 1 small piece of ginger, 2 green chillies, and 1 teaspoon of mustard seeds. Mix #1 and 2 with hung curds, and salt to taste and keep aside. Heat ½ teaspoon of oil and splutter some mustard and curry leaves and pour it into the above mixture. Cook 2 tablespoons of tuvar dal in the pressure cooker. Cook some veggies (like carrot, ashgourd, drumstick, shallots, etc. ), along with tomatoes and a tablespoon of sambar powder and turmeric powder. Mash the cooked tuvar dal and mix it with the above mixture when the veggies are cooked. In ½ teaspoon of oil splutter mustard seeds, fenugreek seeds, 2 pinches of asafoetida, and curry leaves and pour over the sambhar. Heat ½ teaspoon of oil, splutter mustard, 1 red chilli, and curry leaves. Add the cooked chickpea into this. Add salt, jeera powder, and pepper and let the water evaporate. Add a spoon of grated coconut after removing from the stove (optional). Cut carrots, onion, beans into small cubes. Cut ginger and green chillies into small pieces. Mix #1 and 2 and cook well. Pour a tablespoon of coconut milk once the veggies are cooked. Switch off the stove and pour 2 or 3 drops of coconut oil. Never skip or delay your breakfast. Breakfast is the most important meal of the day after 8 hours or more of no food. College-going and working children tend to skip breakfast completely. They do not realize that this will make them tired and cranky during the day, and will make them overeat later in the evening, when they have plenty of time at their disposal, especially while watching TV, etc. If you want to go shopping within 1 km radius, give your car or bike some rest, just walk. Make walking an enjoyable experience. Wear comfortable shoes. Look at kids playing. Listen to birds chirping (if you are lucky enough to be living in a locality where some birds are left!!). Drink plenty of water. Sometimes, when you feel that you are hungry and reach out for your snack box, stop for a while, and check if it is just thirst, and a glass of water is all you need. If you are going out for a party, eat something healthy at home, so that you will not be famished by the time you reach there and you make wrong food choices. Load your fridge and kitchen boxes with healthier options, such as fruits and healthy nuts. When you are feeling low, try not to stay at home, just take a walk. By the time you get home, you will definitely feel better, at the same time, you would have saved yourself from that notorious emotional binging! Hope this Kerala diet plan for weight loss (1200 calories) helps in achieving your weight loss goals. Do you mean you had suffocation issue, as in asthama ? if your medical condition allows, then it is best that you workout / walk or jog for 45 mins everyday , and eat the diet mentioned above ..
Hi, i am 17 years old and from kerala. I am currenty weighing 72 kg. I want to join indian navy but cause of my weight i an not able. How much kg of weight do i loose in one month? If i went to gym for weight loss 4 times a week and karate for two days can i follow the same diet plan like above? Hi Akhil , yes , with the exercises mentioned above in your comment , you will definitely lose good weight if you follow the above mentioned diet plan. Hi, I am 21years old girl. College going. I weigh around 58kg. But my height is 153cm. Is this diet plan going to help? Is it ok to lemon juice on empty stomach? What about workout? Please advise how can i lose weight because i dont fit into any of my dressess n its really alarming. i do not have any ready made plan for your condition , but i can plan a personalized diet for you . mailing you the details of our program . Hi,i am 27years old my height is 1.84cm,but ,now my weights is 94kg ,now i have belly fat.can i lose belly fat?i need to loos fat before 4 month ,please answer me. if you follow the above mentioned diet plan along with 45 mins of workout / exercises / walking every day , you will lose good amount of fat from all over your body , belly included. Im 34 years and im 5’8 and 89 KG which is Obese as per my BMI. My correct weight would be 75KG which is a long way an for that i have started working out in Gym but i need a diet plan which will also keep a count on what eat, please help me with that. 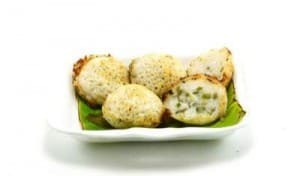 I’m a non vegetarian and i’m a malayali hence please help me with relevent diet and options of things to eat and what kind of snacks i can also choose. I AM LISSAN FROM KERALA 27 YEARS OLD AND MY WEIGHT IS 97 KG HEIGHT 6.2.
its height in cms – 100 . I am 30 yrs old , weight 110, height 5.6 ” Working as a Driver. Due to my workload , i am not getting enough time for exercise.also i cant reduce food intake. Diabetic patient.pls advice what todo to lose my weight..
can you do a 45 mins walk in the morning or at night after dinner ? atleast try to . Hi i am Hari and i am 20 year old and from kerala, currently i am 73kg and had a height of 183 cm . I am vegetarian and i want to loose my weight. Hope you will help me. Hii im arun ,im 17 years old and my weight is 75 kg and height 164cm i want to loose my weight .. Please help me madam for weight loss..
rest of the things are fine, include some fruits and move the green tea to the first part of the day to get better sleep . avoid taking green tea after 6 pm . Hi,I’m 18years old and my weight is 64.My target weight is 53.Mam by following this diet plan how much days are needed for me to get slim?And also I’m doing aerobic dance rather than exercise. Please reply me. with the diet plan mentioned above , you can aim at losing 4-5 kgs in a month .